University of Wisconsin-Madison researchers are investigating de-cellularized plant husks as potential 3D scaffolds which, when seeded with human stem cells, could lead to a new class of biomedical implants and tailored tissues. We may like to call ourselves the superior being or top of the food chain and all that, but as far as design elegance and functionality is concerned, the things nature comes up with make us look like amateurs. Luckily, we’re not above emulating/copying/appropriating these designs, meaning that structures created by plants and animals have long and liberally been used to advance science and technology. Joining this noblest of scientific traditions, UWM scientists have turned to de-celled husks of plants such as parsley, vanilla, or orchids to create 3D scaffolds which can be seeded with human stem cells and optimized for growth in lab cultures. This approach would provide an inexpensive, easily scalable and green technology for creating tiny structures which can be used to repair bits of our bodies using stem cells. The technology draws on the natural qualities of plant structures — strength, porosity, low weight, all coupled with large surface-to-volume ratios — to overcome several of the limitations current scaffolding methods, such as 3D printing or injection molding, face in creating efficient feedstock structures for biomedical applications. “Plants are really special materials as they have a very high surface area to volume ratio, and their pore structure is uniquely well-designed for fluid transport,” says William Murphy, professor of biomedical engineering and co-director of the UW-Madison Stem Cell and Regenerative Medicine Center, who coordinated the team’s efforts. The team worked together with Madison’s Olbrich Botanical Gardens’ staff and curator John Wirth to identify which species of plants could be used for the tiny scaffolds. In addition to parsley and orchids, the garden’s staff also found that bamboo, elephant ear plants, and wasabi have structures that would be useful in bioengineering for their shape or other properties. Bulrush was also found to hold promise following examinations of plants in the UW Arboretum. Image credits Gianluca Fontana / UW-Madison. 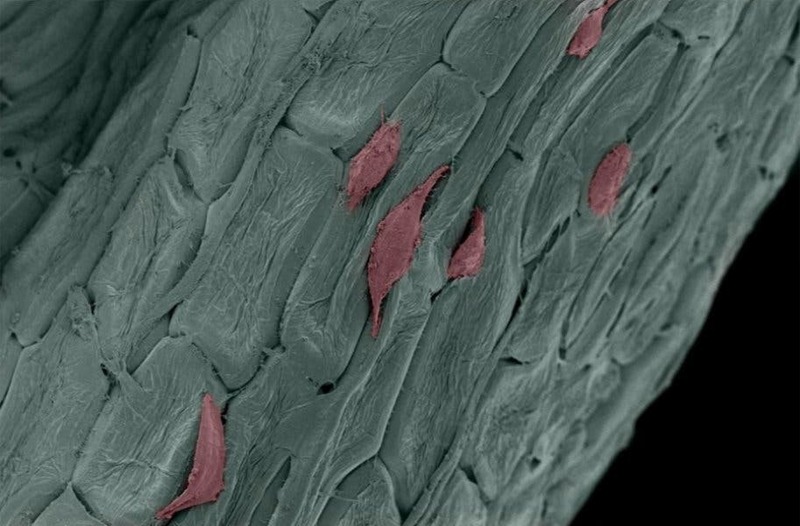 Plants form such good scaffolds because their cellular walls are rich in cellulose — probably the most abundant polymer on Earth, as plants use it to form a rough equivalent of our skeleton. The UWM team found that if they strip away all the plant’s cells and chemically treat the left-over cellulose, human stem cells such as fibroblasts are very eager to take up residence in the husks. Even better, the team observed that stem cells seeded into the scaffolds tended to align to the scaffold’s structure. So it should be possible to use these plant husks to control the structure and alignment of developing human tissues, Murphy says, a critical achievement for muscle or nerve tissues — which don’t work unless correctly aligned and patterned. Since there’s a huge variety of plants — with unique cellulose structures — in nature, we can simply find one that suits our need and use that to tailor the tissues we want. “Stem cells are sensitive to topography. It influences how cells grow and how well they grow,” Fontana added. Another big plus for the plantfolds is how easy they are to produce and work with, being “quite pliable […] easily cut, fashioned, rolled or stacked to form a range of different sizes and shapes,” according to Murphy. They’re also easy and cheap to mass produce as well as renewable on account of being, you know, plants. 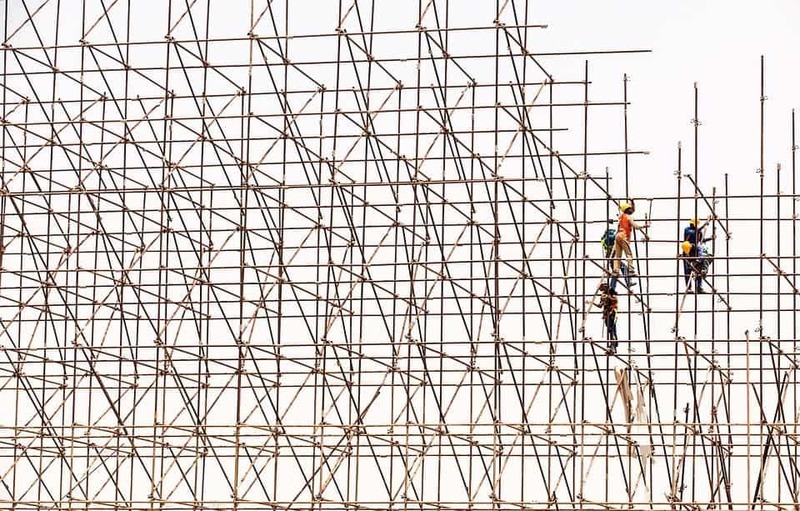 So far, these scaffolds seem to hold a huge potential. They’ve yet to be tested in living organisms, but there are plans to do so in the future. “Toxicity is unlikely, but there is potential for immune responses if these plant scaffolds are implanted into a mammal,” says Murphy. The full paper “Biomanufacturing Seamless Tubular and Hollow Collagen Scaffolds with Unique Design Features and Biomechanical Properties” has been published in the journal Advanced Healthcare Materials.